Crossley KM, Zhang WJ, Schache AG, Bryant A, Cowan SM. Am J Sports Med. 2011; 39(4):866-73. On March 14th we posted an article by Ferber R et al that indicated a simple hip abduction strengthening program may improve anterior knee pain symptoms. Among the comments was a discussion about whether we can accurately detect functional deficits in hip abductor strength. Another commenter and I noted that we used a step down/up test to detect dynamic knee valgus but I cautioned that there was little evidence to support this assessment. Crossley et al sought to use a single-leg squat test as a clinical assessment for poor hip muscle function. Healthy adults, considered at risk for developing anterior knee pain, were instructed how to perform the single-leg squat task and were allowed up to 3 practice tries. The participants performed the single-leg squat test by standing on a 20-cm box with their arms across their chest. They then squatted down as far as possible 5 times in a row, “in a slow, controlled manner, maintaining their balance, at a rate of approximately 1 squat per 2 seconds”. Their squats were videotaped (camera 3 meters directly in front). EMG data from the anterior and posterior region of the gluteus medius during a timed-reaction stair-stepping task in which the participants needed to quickly respond to a light indicating which leg to use. Hip external rotation, hip abduction, and trunk side flexion (via trunk side bridge test: participant laying on one side, supported on their elbow, while maintaining neutral trunk alignment, and resistance is applied just proximal to the greater trochanter) strength was assessed with a handheld dynamometer. Prior to the study a 5-member consensus panel decided on how to score a single-leg squat test. After data collection, the five members of the consensus panel independently reviewed the test videos and then met to develop a consensus score for each participant: 1) good (9 participants), 2) fair (13 participants), or 3) poor (12 participants; the article provides a clear definition for “good” and videos are available online). Videos of 5 participants with each score were then sent, on two different occasions, to 3 independent physical therapists to score. The two most experienced PTs agreed 80 to 87% with the consensus panel’s scores. The less experienced PT agreed 73% with the consensus panel’s scores. Intra-clinician agreement (repeatability) ranged from 73 to 87%. When compared to poor single-leg squat test performers the participants scored as good had earlier EMG onset in both gluteus medius regions, greater hip abduction strength, greater performance on trunk side bridge test, but no difference in hip external rotation strength. The single-leg squat test appears to be a reliable method of detecting individuals with hip muscle dysfunction (particularly hip abduction). It will be interesting to see the results of this study replicated among other clinicians as well as when the clinician is watching the test live and not on video. Watching the test on video can sometimes make it challenging to detect subtle changes but the clinician can rewatch a video as often as they would like. If you are interested in using this test I would recommend learning more about their scoring system. The authors provide clear definitions of “good” performance via tables, pictures, and videos. It is also interesting to note that the least experienced clinician tended to have the lowest level agreement (repeatability and with the consensus panel). Qualitative assessment of posture or biomechanics can be a complex skill that takes time to develop and should be an important component of our education programs as well as a skill that we help foster among young clinicians (when possible). If you have questions or comments to any of our posts please feel comfortable to post them in the comments section. 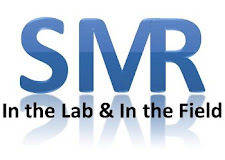 Like this post, when there is an issue that is not currently addressed in the literature SMR writers will keep an eye out for articles that may address questions from the comments section. Nice follow up to previous article. Gives another test that that can be used with step up/down and drop jumps in my view. The direct link betweem "poor" performance and decreased ABD strength/core strength gives further proof that strengthening to theses target areas should be considered/utilized more frequently. Interesting note with the level of experience amoung clinicians. Thanks. I also found the influence of experience level among clinicians interesting. Obviously it is a limited sample size for us to suggest that experience is important but I think we would both agree that some of the subtleties of "poor" performance are difficult to detect but it does seem to get easier after watching dozens or even 100s of people perform the activity. I feel like I was trained well to do these evaluations but it wasn't until I did a lot of these that I started to feel more comfortable with my clinical decisions based on these tests. Even then I would sometimes ask a second clinician (e.g., you) to watch and then we would discuss what we saw.